The boy suffers from severe allergic reactions after ingestion of wheat-based foods followed by physical exercise. A SCHOOL REFUSED to allow a nine-year-old boy’s allergy medication into the school while in a dispute with his parents, according to a complaint submitted to the Workplace Relations Commission (WRC). The boy, who was in second class from 2014-2015 when the incident happened, suffers from wheat-dependent exercise-induced anaphylaxis which triggers a severe allergic reaction after ingestion of wheat-based foods followed by physical exercise. Therefore, he must have access to an emergency anaphylaxis medical kit, containing adrenaline auto-injectors, inhaler and anti-histamines. But the parents of the boy submitted a complaint against their son’s Gaelscoil after they apparently refused to accept the boy’s emergency medical kit on the school premises for nine school days (five days of which the boy was absent from school). The WRC’s adjudication officer found that he had been discriminated against and awarded the family €9,000 – saying that the ”emergency medical kit contained life-saving medication so it was a serious breach of the Acts”. The parents had formally notified the principal and board of management of his medical requirements, and for three academic years this kit was kept in the school office without difficulty. But at the start of the 2013-2014 academic year, the parents were handed an indemnity form where they were to required to agree to see whether one of the three members of staff trained to administer the emergency medicine were working that day. The parents maintain that this was very onerous as not every member of staff is always standing outside. The parents questioned if none of the three teachers were there for the full day, were they expected to bring their son home in those circumstances. It is the view of the Board that it is a matter for you, as parents to take the necessary steps to satisfy yourselves the relevant teachers who have volunteered to administer the medication (in this case an adrenaline injection) in the event of an allergic reaction are in attendance and available in school on any given day or occasion. The school will endeavour to accommodate you in every reasonable way in the unlikely event that none of the volunteering teachers are not in attendance/available. In shock, the boy’s father accepted the kit back but approached a member of the Board of Management to express his dismay. What followed was a series of back and forths between the parents of the boy, the school and educational departments. In the meantime, the boy said he wanted to go to school – but his parents were reticent as the emergency kit would not be in the school. On 29 August 2014 (the second day of the academic year), they gave him anti-histamines and his father took the day off work so that could stay outside the school in case anything went wrong. The parents knew that the staff were due to receive training that afternoon so they assumed that the school would accept the emergency kit the following Monday (1 September). Due to a family bereavement the boy was absent from school from 1 to 4 September. When the complainant’s father presented the emergency medical kit to the vice principal on Friday 5 September she refused to accept it as the board of management was updating its policies. The boy’s parents said that this incident upset their son as he had his school uniform on and was at the school when he was told he couldn’t attend. He wanted to see his friends as he had been at a funeral the previous three days. His parents say he remained upset for the rest of the weekend. On Monday 8 September the vice principal again refused to accept the emergency kit. The school principal came on the scene reiterated this position. 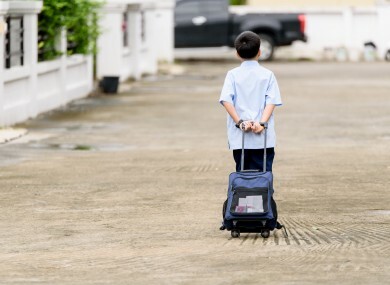 The boy’s mother pointed out that this was unreasonable as it had taken four months to agree the previous policy but the emergency kit was still kept in the school. The principal replied that it was the mother who had asked for the letter of indemnity to be changed, but the parents replied that this is only one word and it should not take six working days to sort out. In the Gaelscoil’s defence, they said that there are four other families with children with similar disabilities, and were all treated in the exactly the same way. They were asked to arrange for an appropriate medical practitioner to address the staff who volunteered to administer the medication and to sign an appropriate indemnity form. The WRC’s adjudication officer found that the boy had been discriminated against on the grounds of disability, and that the school had not ‘rebutted’ adequately. The family were awarded €9,000 in compensation as the boy’s “emergency medical kit contained life-saving medication so it was a serious breach of the Acts”. The adjudication officer also requested that the Gaelscoil redraft their policy on storing medicine and requested that they engage with Anaphylaxis Ireland on this. Email “Parents awarded €9,000 after school refused their son's life-saving allergy medicine”. Feedback on “Parents awarded €9,000 after school refused their son's life-saving allergy medicine”.